I’ve learned the hard way that lying and bottling up your emotions isn’t obviously the best way to go about life. And this is especially true for those of us with chronic illness. This will probably be obvious to most of you. But I know that there are people out there like me that feel like a burden to our significant others and loved ones. And I know my explanations aren’t going to hold true for everyone, but I’m trying to provide some explanation for those of us that do try to hide how we feel. 1. We dread the “Are you feeling better?’ or “How have you been?” types of questions. We know that you probably mean well when you ask us how we feel. Those are questions that people ask almost as a reflex. This especially holds true for holidays when we see a lot more family members that we don’t get to see often. We often say yes and that we feel okay to these questions. We know you mean well and hope that we are okay. The general reason I feel like we lie to this is because we don’t want to frighten you with our health concerns. And that actually explaining how we feel is a very long process and some of you might not even understand exactly what we’re talking about. You have to realize that we have a Ph.D. in our disease, we know a lot more medical terminology than we should. We don’t want to say something that you misinterpret, then look up later on the Internet that is incorrect and become convinced that we’re going to die. 2. We lie to our significant others and/or close family because we feel like a burden. We don’t mean to hurt you when we lie. We’re doing it to protect you. In some cases, you the healthy one are the sole source of income and that is very stressful. Generally if we have enough spoons, we worry about you more than we worry about ourselves sometimes. You can try and tell us not to worry but that’s just not how it works. We wish we weren’t sick and could work or do something so we can help you provide for the household. We want you to feel normal, not as stressed. Your stress is our stress like it or not. We say we’re okay so we try to avoid going to the doctor so there aren’t more medical bills piling up. We don’t want to bother our family to see if they can take us to the doctor if we can’t drive ourselves either. We know what we’re doing is wrong but sometimes that feels like the only option we have. 3. 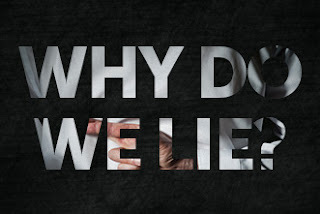 We lie because we want to hide our symptoms. We like to try to pretend we are normal, even if it’s just for a little while. We shove our exhaustion, fear, anger and every other emotion into a little box. We want to be in the here and now and enjoy the little things. We want to have fun and see a movie or go to the mall every now and then. We hide our symptoms so you won’t try to convince us to stay home and rest. 4. If our illnesses are invisible, we want to do as much as we can for fear of being judged. But we end up being judged anyway. We’ve had those times when we were simply too tired to walk a lot for whatever reason we have for being in able to walk a lot. Sometimes when I go to the mall with my friends on a rainy day, it just hurts too much to walk. I try to walk with them eventually after awhile I start to slow down. Then awhile after that I limp, and pick up the pieces of my pride and go get a wheelchair. You can feel the stares on you and the judgment it makes my chest squeeze. This is what we fear, that people just think we’re simply just too lazy to walk. We lie and limp on often, because we don’t want to feel the staring.